This detailed ensemble is based on traditional Canthan designs. It won’t provide any extra protection in Dragon Ball, but at least you’ll leave behind a dashing corpse. It’s almost Valentine’s Day! 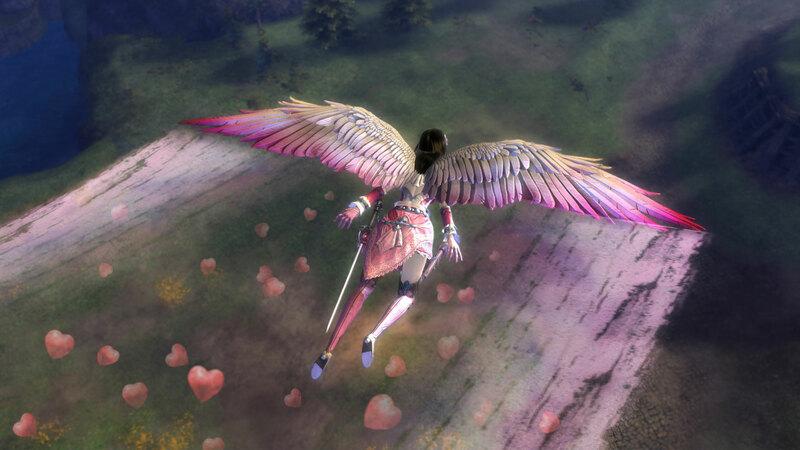 Float in on the Wings of Love Glider to present your special someone with a Bouquet of Roses and a Box of Chocolates. 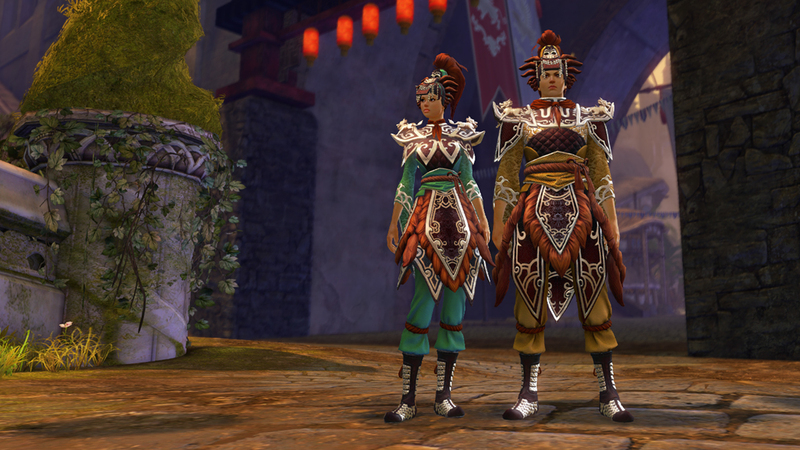 Starting today, the Celestial Rooster Harvesting Tool, Red Envelope Mail Carrier, and Gifts Mail Delivery are on sale for 20% off. 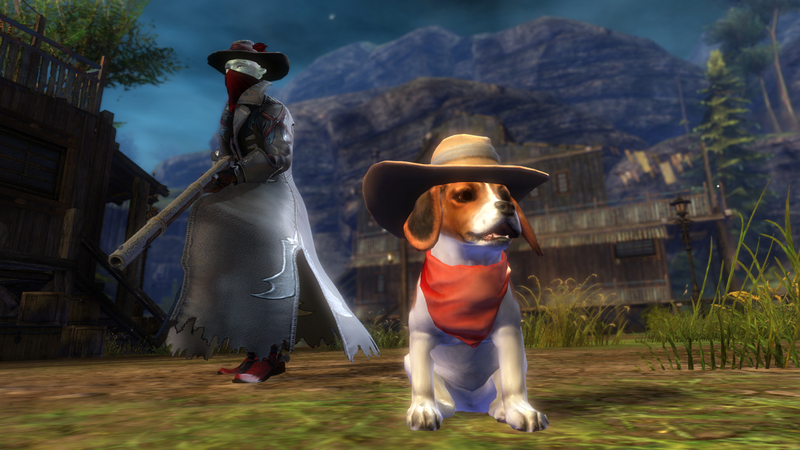 The Mini Zaishen Puppy and Mini Outlaw Puppy will be on sale for 20% off starting February 16.